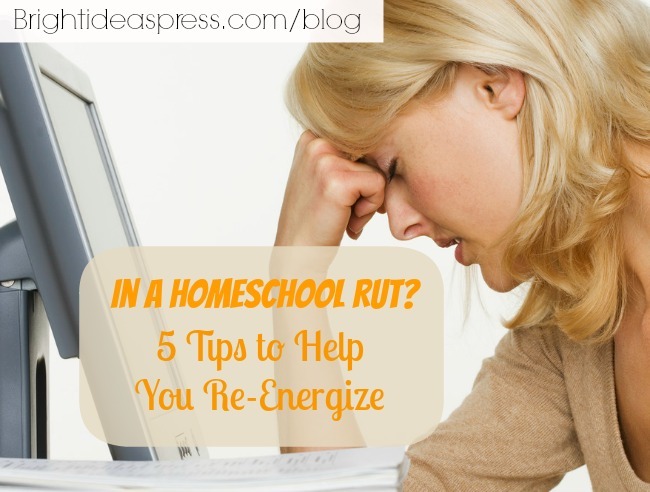 As you look around your home and your school room, do you feel like you are stuck in a rut? Are you looking at your shelf of curriculum and feeling bored, worried, or overwhelmed? Have you begun to think, “It might be time for new curriculum.“? Have you started to worry that you simply are not capable of homeschooling your children? Or perhaps you are thinking that you will ruin your children or that they are missing something important that you don’t even know about. Don’t worry! It’s going to be okay. The thoughts and feelings you are having are normal. Really! I am currently in my sixth year of homeschooling. Over those five years I have talked with a lot of homeschooling moms who have these doubts each academic year. This is especially true during the first couple of years. I’m no psychologist. I am just a mom who talks with other moms, but I’ve noticed a pattern. It seems these feelings start to set in a couple of months into the school year. There is excitement as we begin to plan a new school year and organize our supplies . It’s fun to start the year and begin using new products. When we settle into a routine, that’s when the doubts begin to arise. You are not alone in these feelings. But, what can be done about them? Before you go looking longingly at the bus driving away each morning, thinking, “That would be so much easier.” Consider for a moment a few ideas which can help kick start your energy for home education. 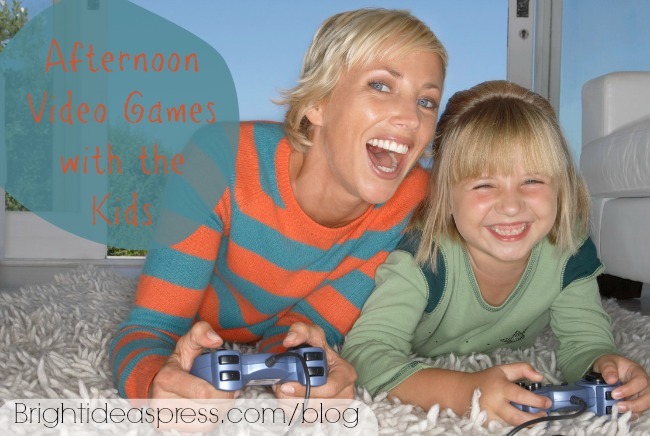 Ask grandma to watch the kids for a couple of hours after lunch. Go ahead, pick up the phone and call her. Then call a homeschooling friend and have her do the same. Go grab a cup of coffee and a pedicure with your friend. Go on. It’s ok. You need a break.Homeschooling is a 24/7 job. So taking a couple of hoursevery few months to step outside the homeschool classroom and re-energize your heart is okay. Yes, you can take an unplanned week off of homeschool. Call it fall break if you need to give it a name, but take the week off. Give your kids a fun book and time to read purely for enjoyment. Give them a sketch pad and tell them to sketch whatever they want. Spend an afternoon with them, playing video games. Really, it’s ok, you are building memories when you do that. The goal is to re-energize and reconnect with your children. Plan a moms’ night out. Moms of homeschoolers don’t often get time to be with other adults. Call up your friends, pick a night, explain to hubby that you need a few hours, and then go get a meal with your friends. You will end up talking about homeschooling; it’s inevitable. But it will help you to see that you are not alone. They, too, get overwhelmed, worried, and end up in a rut too. But you will hug and walk away feeling re-energized. Proposition your husband with “If I put on my prettiest dress and get a babysitter, can we go out to a real adult dinner tonight?” Most likely he’s going to be more excited about it than you are. You both need time together to reconnect and re-energize. Remember your relationship with each other is important both for yourselves and the well-being of your children. Go on an impromptu field trip. Drop the books, put on your tennis shoes, and get out of the house. It really doesn’t matter where. Go for a nature hike or sketch leaves in the local park. Visit the zoo, or stop in at the local historical society. The goal is to stop your routine for just a bit, get out of the house, and re-energize your spirit to continue on the journey of providing the best education possible for your children. You are not alone; your feelings are normal. But, you need a break in the routine. You need a little time to fill your own cup. Knowing that we need to do this is the easy part. Actually letting yourself have permission to do it is the hard part. I also get a 90 minute massage every once in a while when we can afford it. It is so worth it! I also multitask with the PE/mommy work out time. We all go to Karate (minus the two year old). Mommy goes to the big class and the littles go to their class. Once again, I only have to worry about myself. It’s a nice mental break. I think we are due for a week off! Oh you made me laugh about going to the grocery store and feeling like you are on vacation. I can so relate. I esp. laughed when I read “no boogers.” LOL SO TRUE! It’s good to see you pop in over here Heather.